For some people—those who might self-describe as Type A, OCD-ish, or neat freaks—a well-organized pantry is a thing of beauty. For others—those with small apartments or limited storage space, a tendency toward clutter, or calendars scheduled in 5-minute increments—a well-organized pantry is a necessity. Wherever you might fall on the spectrum, the reality is that neatly lined shelves of glass jars individually labeled and all facing forward often falls under the shorthand category of #goals: projects to undertake when there’s more time or more money, or when your friend who’s really good at straightening up can come over and just do it for you. It’s this kind of I’ll-do-it-later thinking that causes a box of orzo to come tumbling out of the cabinet when you go to reach for the vinegar, or has you buying lentils only to discover that you already had three bags of lentils hiding way back on the shelf. But it doesn’t have to be like this! There are so many simple ways to transform your pantry and so many delicious ways to cook those lentils—and you can do it all tonight. 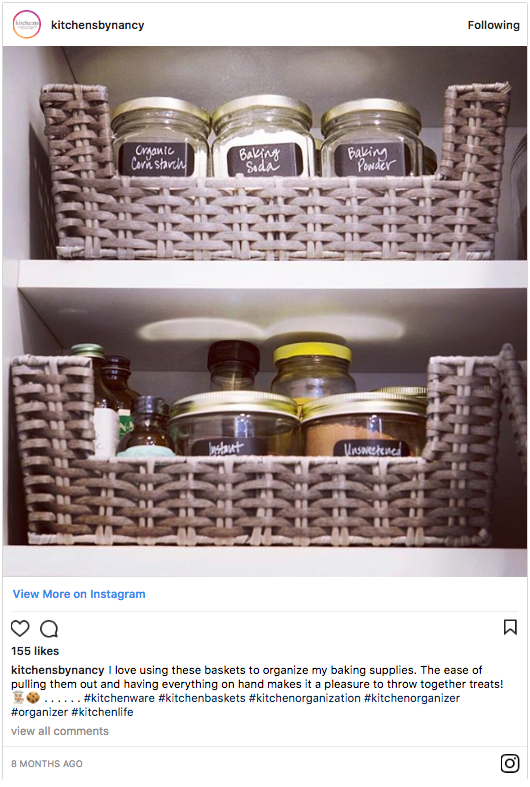 Inspired by the #pantrygoals of Instagram, here are 20 photos to achieve the pantry of your dreams.